I am starving by Indonesian foods recently. I don’t know, maybe because suddenly I miss home. So I promise to myself that I will cook Indonesian foods this week. Yesterday, I made “Tahu Bacem” I don’t know how to translate it into English, maybe sweet marinated hahaha. 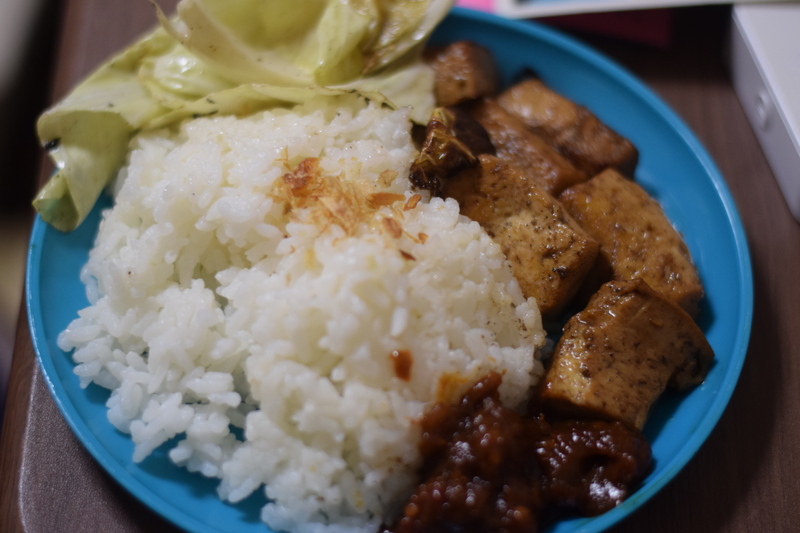 But, “the” itself means “tofu.” Bacem itself if a cooking technique originally from Central Java and Yogyakarta area (by history, these areas are included in Mataram area). Talking about foods from this place, then we talking about “sweet” foods. These areas are always well-known by sweet-savory foods and also slow-cooked foods. To write this article, I am asking my friend about what is the meaning of “bacem”? Then I just know that it means “marinated” in Javanese. Yes, it is… you need to add brown sugar when you boil the tofu. So how to make it? I found that the English recipes around the internet are tough. It is slow-cooked but trust me, as a person come from Javanese Dad… I think making bacem is not such a difficult thing. 1. Grind all ingredients for spice paste. 2. Boil water. Then, put spice paste,sweet soy sauce, brown sugar, and bay leaf into the water. 3. Put the tofu into the water. Make sure that all of the tofu are entirely covered by the water. 4. Wait until the tofu absorb the seasoned water and you can see the color will turns into brown. I have lots of cabbage as my friend sent it from her lab which is in a vegetable farm :’D I will use lots of cabbage for next home made foods hahahhaa. Interesting recipe! I had to look up what candle nut was… I had never heard of it before. Yeah, I just read that on wiki. We learn something new everyday! Thanks for sharing your recipe. Jadi itu awalnya tahunya cuma di “marinate” ya mbak? Nunggunya berapa lama? Where do you live? I live in middle east, and i think there’s a difference taste of the spice. Indonesian spices like nutmeg, coriander, pepper have stronger smells and tastes compare to the spices here.